2006 Wax Cabinet II Michelle Perrett (NSW) ARTIST STATEMENT Wax Cabinet II references the aura of cabinet de curiosités, explores the magic of collection and display, and the documenting of the transitory and the extraordinary. In Wax Cabinet II, multiple cast wax bottles explore the desire for knowledge, the limitations of technology and the fallibility of medicine and science in relation to the human body. 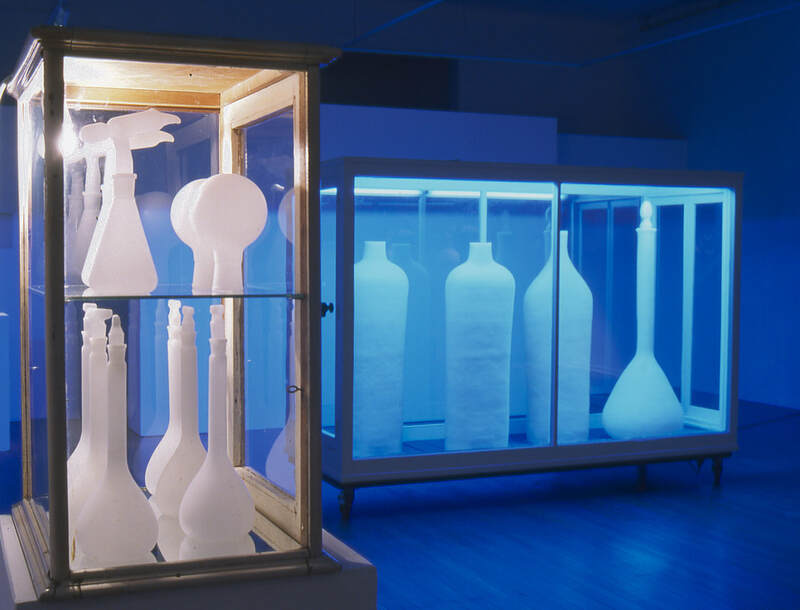 The viewer is confronted with empty translucent wax flasks seen through glass and a mirror inside the cabinet. The wax vessels allude to the transience and vulnerability of the human body.